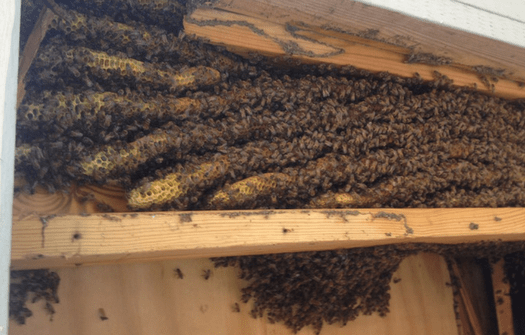 Bees and wasps are most active during the summer months. There are about 20,000 different species of bees in the world. Bees feed on nectar and pollen. 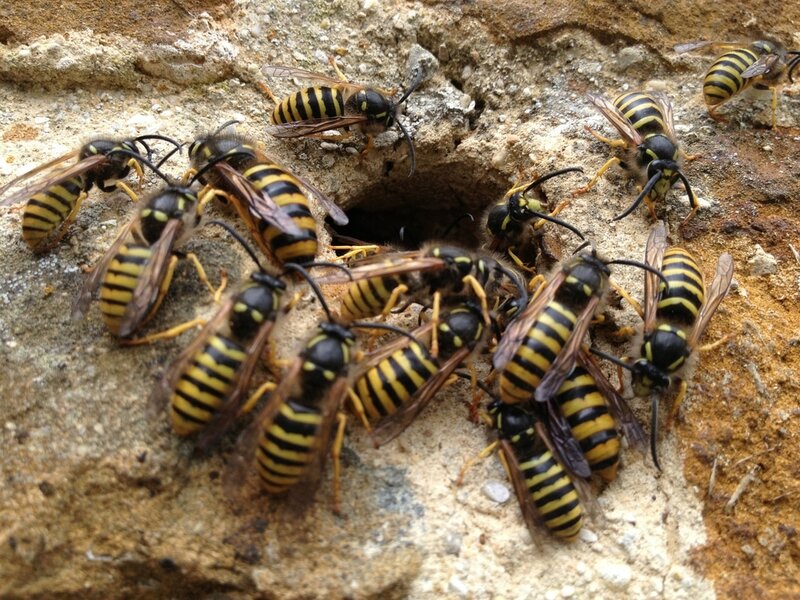 There are around 30,000 identified species of wasps. Wasps are distinguishable from bees by their pointed lower abdomens and the narrow “waist,” that separates the abdomen from the thorax. 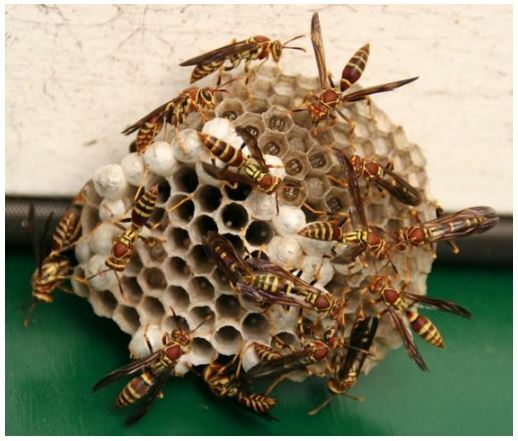 Wasps have a useful purpose, they are fierce predators and they hunt and eat almost every insect pest that harms crops. Wasps eat grasshoppers, aphids, flies and dead insects. They also eat nectar, tree sap and fruit. The venom in wasp sting contains a pheromone that causes other wasps to become more aggressive. As a general rule, wasps will only sting if they are disturbed. So how do you know if you have a nest? You may be able to see the nest itself. 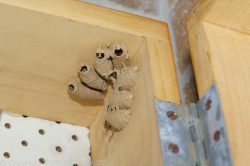 However, often the nest isn’t visible at all and the only indication that there is one is a constant stream of bees or wasps flying in and out of a particular place. 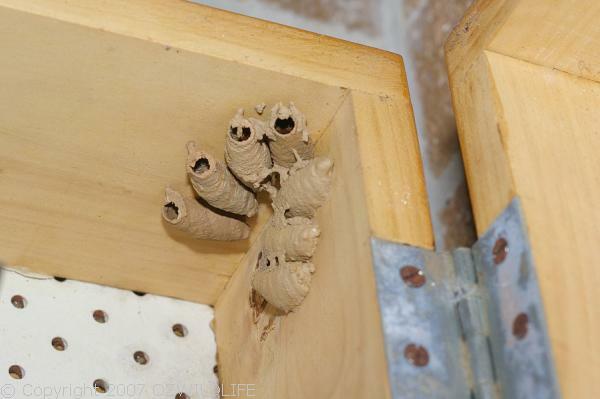 If they attempt to set up home in your home, insecticides can be very effective. Apply directly to the hive during early morning and late afternoon, when they are inactive. Again, if unsure of what action to take, a pest controlcompany is your best bet. Make an online enquiry for Domestic Bees & Wasps Protection service or call us now on 1800 284 442.